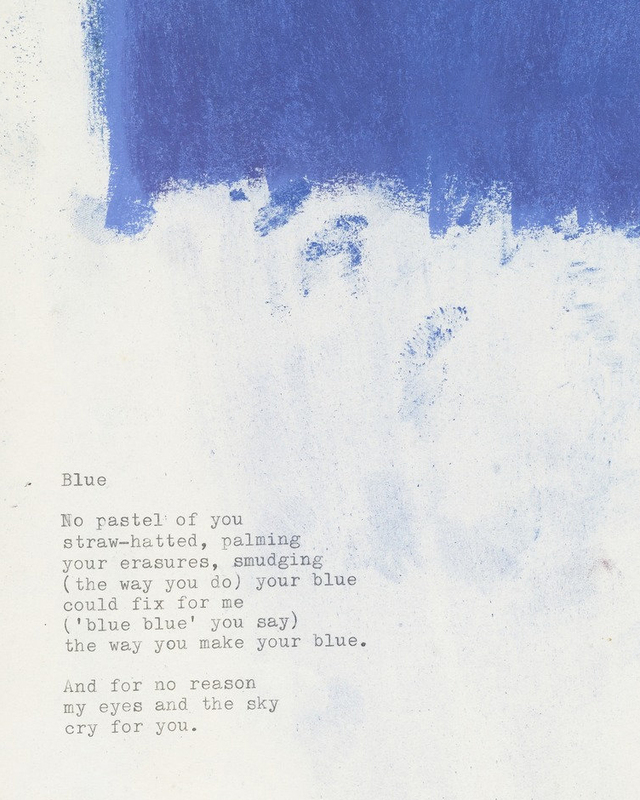 Poem 'Blue' by J. J. Mitchell. 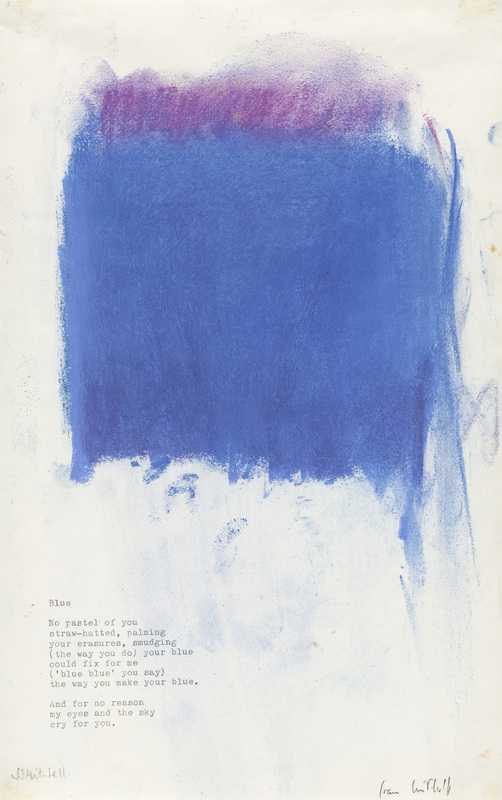 Joan Mitchell: Untitled (Blue), 1975, pastel and typewriting on paper. In 1975, Joan Mitchell completed a unique series of pastel drawings based on the writings of her friends, the poets Jacques Dupin, J. J. Mitchell, James Schuyler, Pierre Schneider, and Chris Larsen. She illustrated the texts by typing out the poems herself, and then drawing directly on the paper.